A few releases back, SEGA added Gunstar Heroes to the SEGA Forever line-up. It’s an awesome game, one that put the name of its developer Treasure on the map. Even if it’s not ideal when experienced with touch controls, I’m sure many SEGA fans who own iOS devices are glad to have it. At the same time, however, it is a game that was previously released on iOS several years ago. 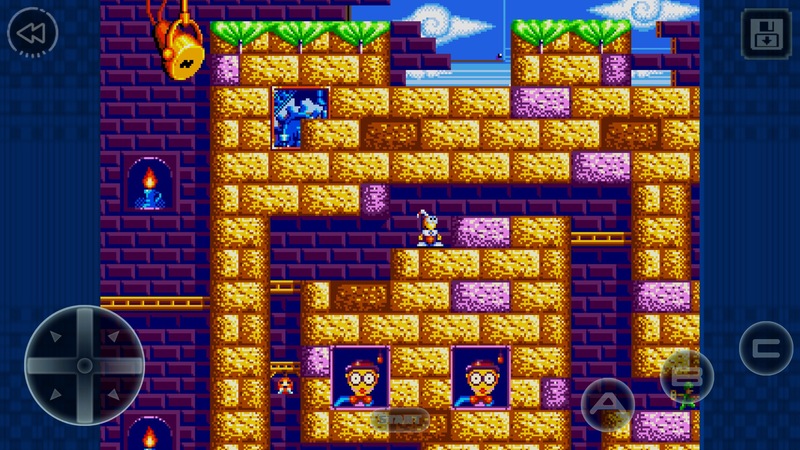 That version of the app had long since been broken by iOS version updates, but the fact remains that Gunstar Heroes isn’t exactly new to the platform. Treasure’s other great 16-bit games, on the other hand, represent fresh ground for mobile devices. 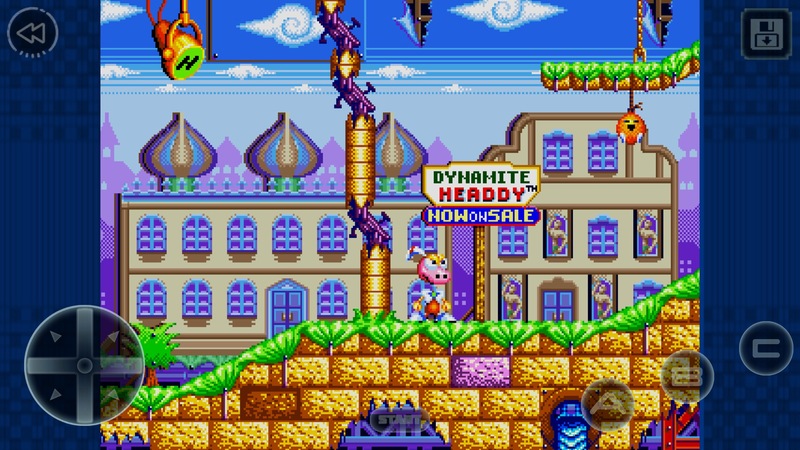 As luck would have it, SEGA has opted to resume their SEGA Forever releases with one of those titles, the imaginative platformer Dynamite Headdy (Free). The iOS version follows the pattern of other SEGA Forever releases. The emulation is decent enough, with a few inaccuracies that shouldn’t be a big deal for most players. You can use an MFi controller if you have one, or you can try to make do with customizable virtual controls. You can download and play the game free if you don’t mind ads popping up now and then, or you can pay for an IAP that removes all non-SEGA ads. Extra options include save states (very handy for this game), a few filter choices, and a special rewind feature that allows you to take back the last fifteen seconds of gameplay if you make a mistake. 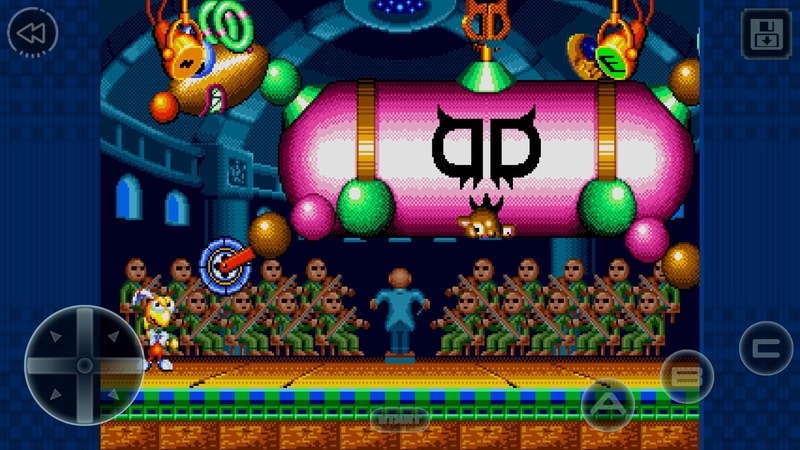 If Gunstar Heroes was a little tricky with virtual buttons, Dynamite Headdy is a nightmare. It’s not the poorest fit in the SEGA Forever line-up (Revenge of Shinobi is nigh-impossible), but if you’re not a legitimate ace with touch controls, you’re not going to get very far. Headdy can shoot his head in eight directions, and regularly needs to jump and shoot at the same time. Both of these scenarios would have some issues with some of the best virtual controls, and these aren’t the best by any means. Any part of the game that requires you to quickly launch Headdy’s head in different directions rapidly becomes an exercise in irritation. Even with an MFi controller, you’re going to find this one to be quite the challenge. Dynamite Headdy was one of those games that had its difficulty adjusted upwards for its Western release, making it a bit of a tough nut to crack. It’s nothing insurmountable, but this game rightfully earned its reputation among Western gamers back in the day. If you’re stuck with the virtual controls, you can definitely still have some fun with this game. But you’ll certainly want to give it a try before you plunk any money down, if only to make sure that you’re getting into fun rather than frustration. It shouldn’t take you more than a couple of stages to suss out whether you can deal with the game’s challenges or not. Dynamite Headdy was released in 1994 and was Treasure’s third game, following up on Gunstar Heroes and McDonald’s Treasure Land Adventure. It’s a rather inventive side-scrolling platformer with some amazing set pieces and impressive bosses, as you would expect from this developer. It uses effects rarely seen on SEGA’s 16-bit hardware, but its clever nature isn’t simply limited to its visuals. Just about every level has you doing something new, making for quite the roller coaster ride through its nine worlds. Treasure didn’t hit a home run every time it stepped up to the plate, but even its worst platformers tended to be well-stocked with interesting concepts. Dynamite Headdy sits somewhere in the middle of the developer’s catalogue, which isn’t a bad place to be at all. The hero, Headdy, is a puppet who can jump and toss his head. Yes, this is the second Genesis release in the SEGA Forever line-up that involves throwing your head at enemies. This one is the better one, to be honest. Headdy can throw his head in eight directions, using it to attack foes, activate various machines, and climb up onto ledges. Occasionally, you’ll come across a power-up that will swap out Headdy’s head for another one, granting you temporary access to some interesting powers. Some of these are integral to solving light puzzles within the stages, while others are just there for a little extra fire power. There are seventeen in total, and almost all of them are beneficial in one way or another. Unfortunately, the overseas version of the game was made a lot more difficult than the original Japanese version. This manifests in the form of things as trifling as adding a few extra enemies on screen, to more serious alterations like adding extra projectiles to boss attacks and doubling their life bars. Dynamite Headdy wasn’t a particularly easy game in its original form, and in my opinion, all of these changes are without question worse for the overall experience. It changed the game from a relatively accessible albeit challenging action-platformer to something that demands serious skills. While I’ve mentioned before that I wish SEGA would include the option to play the various regions’ version of each game, I really wish we had it here. Mobile gamers have enough challenge ahead of them thanks to the virtual controls, so having the Japanese version’s relatively easier arrangement would really help make it less frustrating. If you’re patient, Dynamite Headdy pays off in spades. Every world is an amazing ride through wild backdrops and locations that come alive thanks to elaborate animations and props. The absurd amount of power-ups are used to great effect, often presenting the player with alternate routes through levels if the player has the right head at the moment. The bosses are naturally outstanding. Many of them are huge multi-part constructs that you have to disassemble piece by piece. The excellent visuals are backed by a great soundtrack that uses the Genesis sound synthesizer to its fullest extent. This game was released relatively late in the system’s life span, and it truly shows. 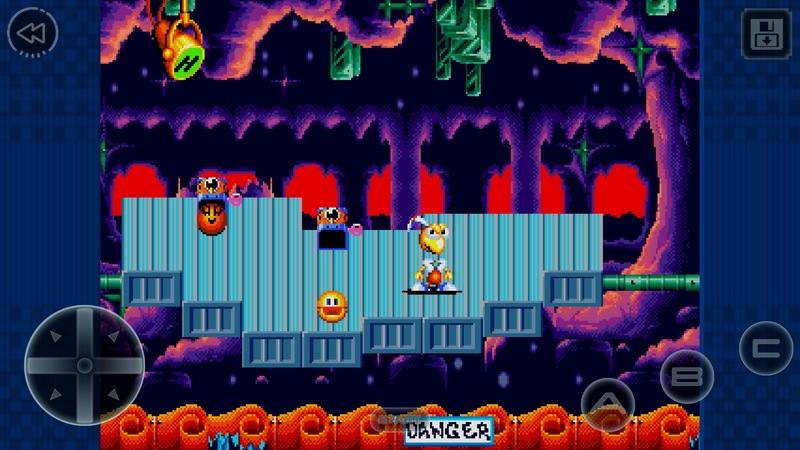 While Dynamite Headdy is a great game in its original form, those playing the SEGA Forever version will have to contend with a couple of obstacles to get to that enjoyment. The combination of the Western version’s spiked difficulty and the inherent issues with virtual button controls slapped onto a game that was never designed for them creates a barrier that many players are going to bounce off of. If you’re playing with an MFi controller, you’ll find Headdy to be a tough challenge that is more than worth standing up to. Otherwise, the game might turn out to be more annoying than entertaining.